We are one of the leading names in the UK when it comes to GPS tracking system and fleet tracking solutions. Our clients can count on us to deliver the best technology as far as GPS tracking systems are concerned. Our tracking systems are reliable, user friendly, feature rich and suitable for all vehicle types. Our innovative GPS tracking technology has made us a number one choice for both small and big corporations in different parts of London and across the UK. Over the years, we have gained vast experience in the use of GPS tracking systems. Our very sophisticated car tracking devices allows businesses to be able to monitor and keep track of all their vehicles at the same time. These can easily be done using the internet on their mobile phones and computers. We are fully aware that many people tend to shy away from these GPS tracking systems because they deem it expensive. What we do here is to give clients a car tracking system that is worth the money spent. Our car tracking devices ensure that there is improved efficiency and can easily be detected. This and many more are the reasons we have stood out among our competitors over the years. In a world that is trying to stay green to ensure its survival, our tracking services are all eco-friendly and cost saving. They come at a very affordable price and suitable for all types of budget. We give free installation services and also free 3 months of usage; just to tell you how confident we are about the system. Last of all, you would need a leader in GPS tracking systems. The device is built in a compact manner which makes it less cumbersome to operate. The device comes in a casing with just a single external switch and also a charging port. With this design, the device is very easy to use by anyone with little or no knowledge about tracking systems. To allow for easy attachment to vehicles, the device comes with two magnets on the outside of the casing. 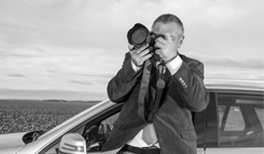 Because of the efficiency of our tracking devices, we have become a common name among businesses in the UK as well as private investigators and the likes.